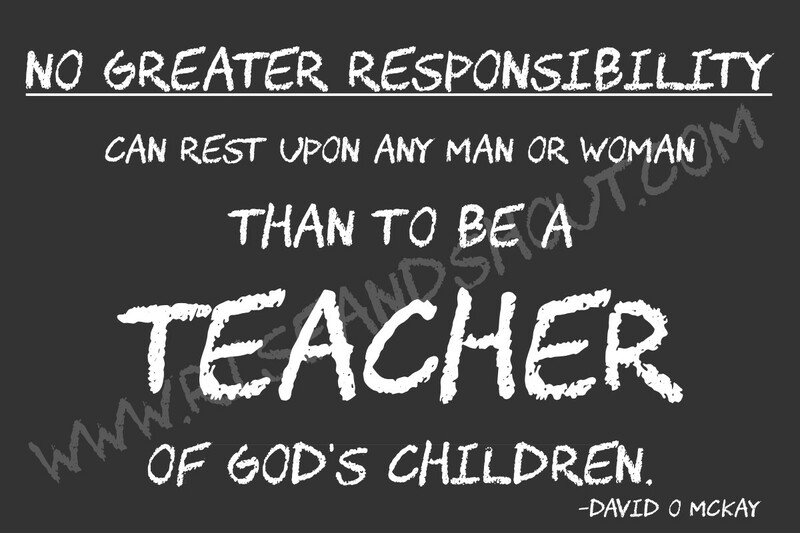 I'm so grateful for each of my children's teachers-- their classroom teachers, their "special teachers," their Sunday School teachers, piano teachers, coaches, even those wonderful individuals who may not have the official title of teacher, but who nurture, support, help and teach my children each day. You are WONDERFUL! You're responsibilities are divine. And I don't mean the importance of teaching math or science, or languages or any other discipline. (Although I think that learning is an important part of not only earthly progression, but eternal significance!) 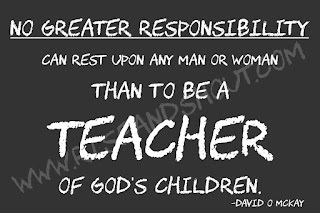 The reason I love and admire my children's teachers is because of the way the teach them character, love, compassion, civic mindedness, discipline, the value of hard work, perseverance and the unlimited potential of the human mind and spirit. Thank you teachers! As a token of my appreciation, I've prepared this 4x6 freebie. Print it out and and write a small thank you note to the teachers in your life.